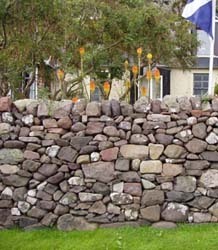 We are members of West of Scotland Dry Stone Walling Association. We build new walls and can renovate existing old walls to the nationally recognised standard. By special request we offer a lime mortar facility.